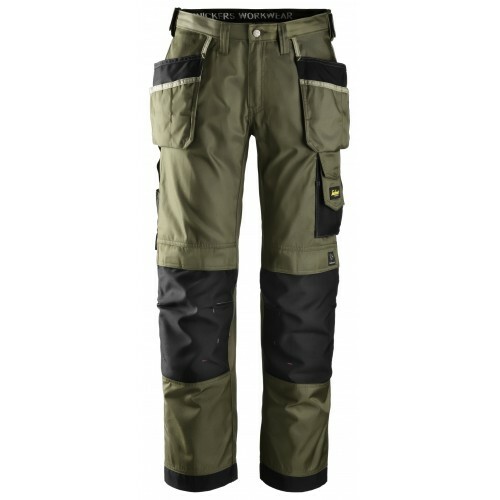 Snickers 3212 Work Trousers are the ideal option for anyone looking for the ultimate work trouser. Crafted using innovative DuraTwill™ fabric, these work trousers won't rip or tear, perfect for anyone working on a building site or in an enclosed space. 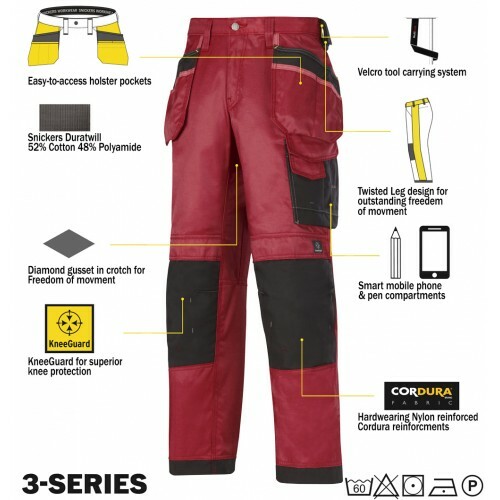 The Snickers 3212 work trousers also incorporate Snickers's unique Twisted Leg™ feature to anticipate your next move; no matter how strenuous your job is, these Snickers 3212 trousers will keep you unbeatably comfortable. 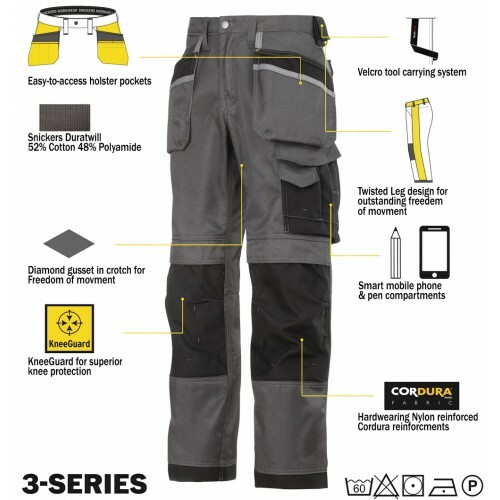 If you need to carry a lot of tools at once, these trousers are also fully equipped with a range pockets, holster pockets, an angled phone compartment and Velcro tool fasteners - the ideal trousers for a work man on the go. The Snickers 3212 trouser incorporate DuraTwill™ technology, so you don't have to worry about rips or tears ruining your trousers. The inside is also lined with soft cotton to ensure maximum comfort on site..
Materials: 52% Cotton 48% Polyamide, 240 g/m². 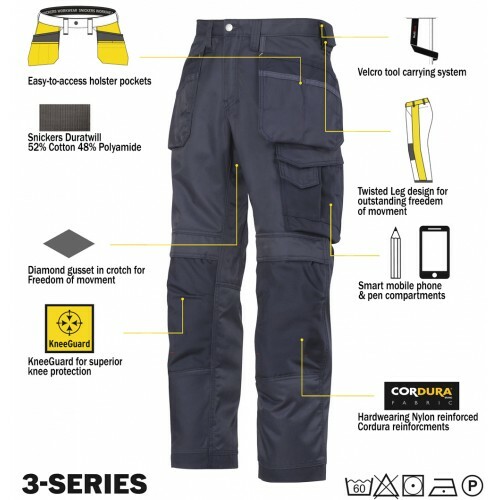 Featuring 100% Cordura®-Polyamide reinforcements.